If you need to study (or work) while you’re in the UK capital, then don’t worry. London has a host of quiet and well-maintained study spots in which to write an essay. Here is our top pick of the best places to study in London. 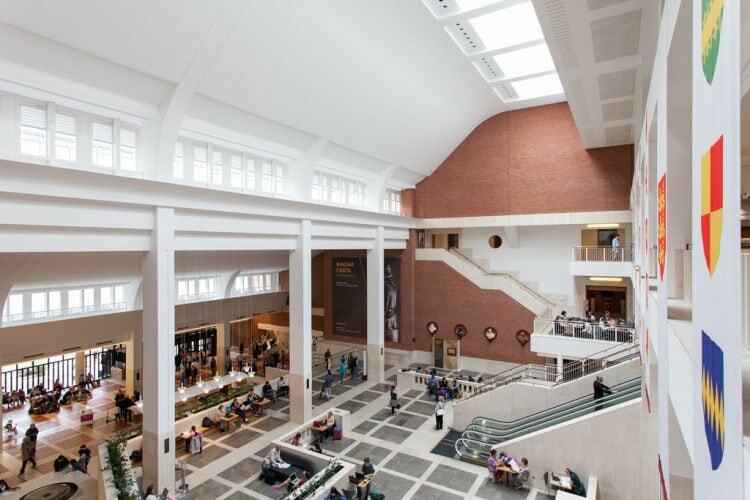 Home to 150 million items, including the Magna Carta, the British Library is the world’s second greatest book collection, and a must for bookworms and history buffs. Only a short walk from King’s Cross, the library is free to enter and a Reader Pass is available for students and members of the public over the age of 18, via online pre-registration (you will need to demonstrate your need to use the library when applying). The tightly controlled reading rooms (water bottles and bags must be dropped off in the cloakroom and pencils are the only writing equipment permitted) are great for quiet study with an inspiring backdrop. The British Film Institute is a favourite on the South Bank cultural scene with its film festivals and stylish cinema on the doorstep of the Thames. Its Reuben Library is free to the public and you simply need to fill in a registration card upon each visit to access the study spaces. When you get tired of work, enjoy the vast collection of resources about the film and television world here, from books and journals to digitised material from the National Archives. 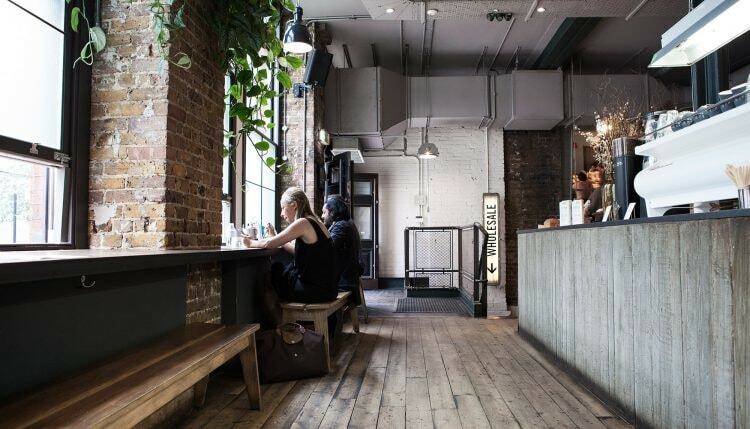 Fashionable coffeehouses are in abundance in Shoreditch, but Ozone Coffee Roasters stands out among the rest with good reason. Not only is the coffee delicious, its beautiful light-filled shop has a chic industrial feel and is decked out with plenty of spacious wood countertops, booths and benches for spreading out stacks of books and laptops. Our favourite seats are around its open kitchen and those in the downstairs roasting area. Study spaces don’t get much more beautiful than the Grade II-listed interior of the National Art Library on the first floor of the Victoria & Albert Museum. 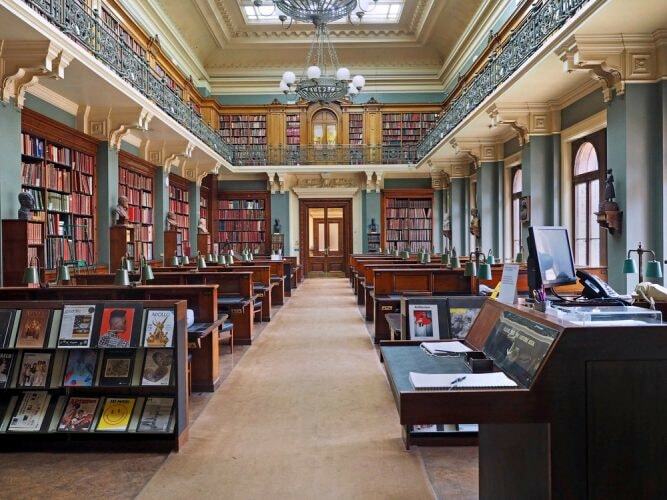 Located in Kensington, the public reference library provides the ultimate research catalogue for the fine and decorative arts and is free to join for all members of the public by registering online or in person upon their first visit. 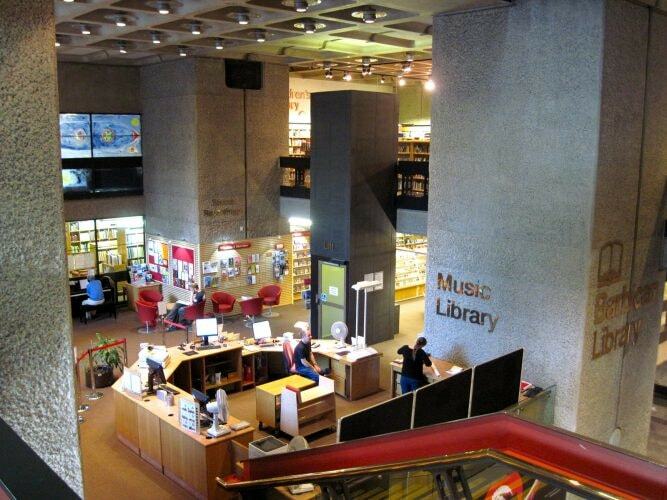 Situated on the second floor of the city of London’s sprawling Barbican Centre, Europe’s largest performing arts centre, is the Barbican Library. It is a split-level library with historical books and a study area available on the upper floor, while the lower area opens up to a music zone with plug-in and play digital pianos. 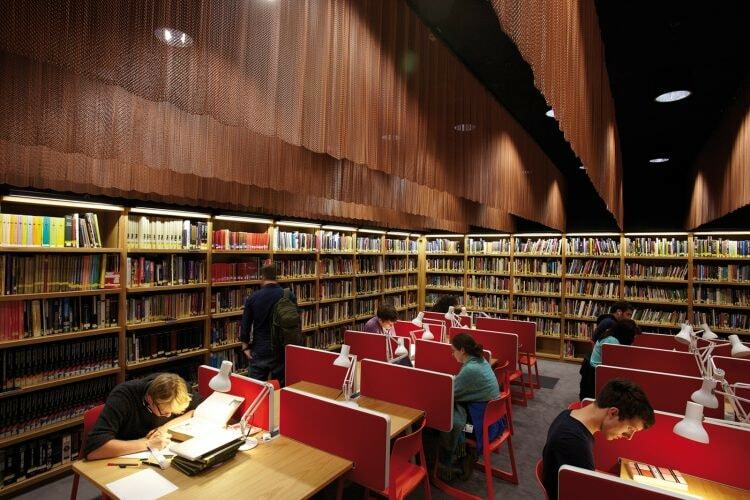 To take out resources from the library, you need to either work or live in the City of London, but all members of the public are free to use the library facilities. 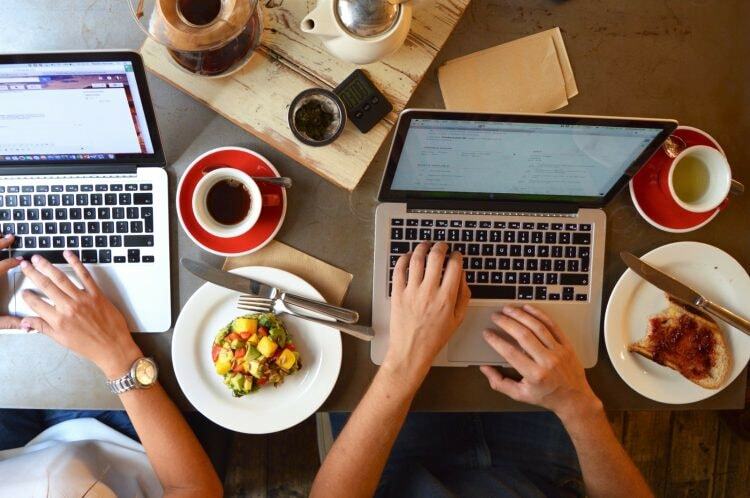 ‘Tea, coffee, work and play. Reimagined’ is the slogan for Timberyard, meaning workers are welcomed with a smile at this quirky coffeehouse. With two venues to choose from, the study cafés are renowned for their work-conducive environment and are usually full of young trendies typing busily away at their laptops into the evening, with a weekday 8pm closing time. Arrive early for the best seats and enjoy their buttered toast with jam; as far as simple breakfasts go, it’s hard to beat. Part of the Wellcome Trust, the Wellcome Library is one of the world’s major resources for the study of medical history. Membership to the library is free and open to any member of the public. The library is well equipped for every work need, from a group study room, to an assistive study room for members who wish to use audio software and plenty of computers to log in to if you’ve left your laptop at home. 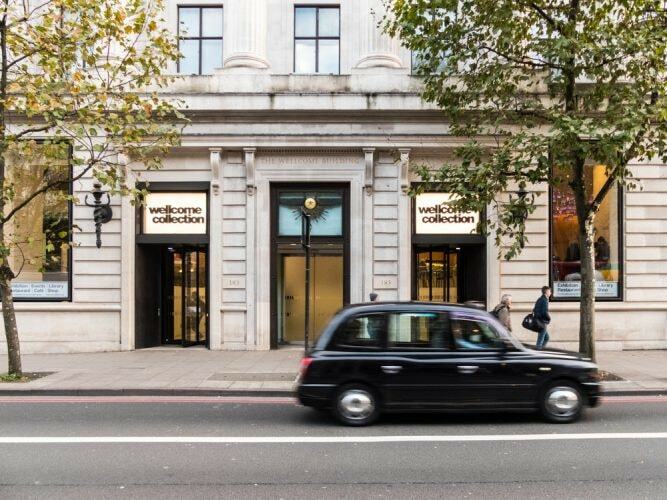 Before heading home, why not have a wander around the Wellcome Museum’s fascinating free collections. Sitting on London’s riverside is the Southbank Centre, a complex of venues including the Hayward Gallery, which boasts the title of Europe’s largest centre for the arts. If you’re looking for a relaxed communal space, lots of light, table and sofa space, free Wi-Fi, and comforting conversational background noise while you study, the complex’s Royal Festival Hall is the perfect spot. The fifth floor and its balcony terrace have great views of the Thames. 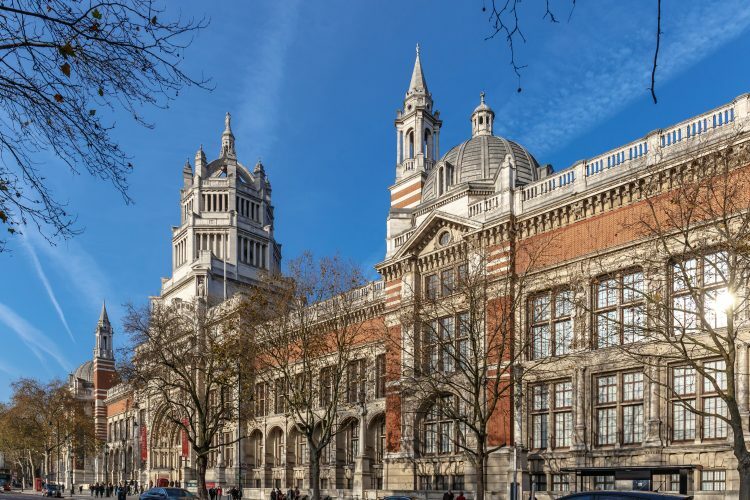 The Victoria and Albert Museum (V&A) is a world-renowned destination for art and design that is home to over 2.3 million objects chronicling more than 5,000 years of human growth and creativity. In the museum there is a public reference library with free WiFi and over 1 million items from the library’s collection to browse. To access the library you can register on the Victoria and Albert Museum’s website.